There are seven (7) Terminals in Halo 3. The seven terminals located throughout three levels contain information about the Forerunners and how they survived after activating Halo. Finding all the terminals earns you the "Marathon Man" achievement which is worth 40 points. What does a terminal look like? It has a bright orange eyeball-looking sphere in it. The guide below explains in detail where you can find all of the terminals throughout the entire game. When you first get inside, go to your left to the door. Once you go inside, you will the first terminal. Terminal #2 is also on "The Ark" at the point where you control the bridge of light to allow the tanks to cross. The terminal is right behind the controls for the bridge. After defeating the scarab on "The Ark" you go inside. You will pass through a room where grunts are sleeping, and after passing through you will be presented with two paths. One path is a set of stairs, and the other is a door. If you look under the stairs there is another door where the terminal can be found. Terminal #4 can be found after you access the first elevator that takes you to the tower controls. For terminal #5 fly a hornet over to the tower that the arbiter has disabled. You should hear that tower 2 is already disabled, go ahead and go in. Terminal #6 is a lot like terminal #4 just jump to the platform. 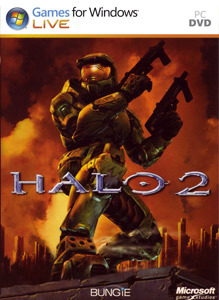 The last terminal, #7, is found at the beginning of the last level (Halo). That's it, you should now have the "Marathon Man" achievement. To discuss this guide feel free to post comments and replies in our official forum topic which is located below..